Shona MacLean (1966) is one of the five children of Alistair MacLean’s brother Gillespie MacLean and his wife Margaret. Her progress through life was closely followed by her uncle Alistair MacLean and he even encouraged her to become a writer. While at university, Shona studied in France for a while and Alistair MacLean – not wanting his niece to waste time and effort on menial jobs to earn a bit of money – simply suggested to deposit the then considerable sum of ₤3,000 for her. He told Shona that she could “pay him back when I’m old and decrepit and bankrupt”. By the time she started working on her first novel, in her early twenties, her uncle had died. She didn’t finish that first effort and only recently returned to writing. Shona MacLean, currently lives in Conon Bridge (Scotland) with her husband, Dr James Vance, the rector at Golspie High School, and their four children. At the moment Shona MacLean has published a total of four novels and they all feature Alexander Seaton, a disgraced minister turned teacher who is caught up in the political and religious turmoil of Scotland in the early 17th century. Her first novel is called The Redemption of Alexander Seaton and her publishers have called it “a compelling thriller and brilliant historical novel”. That she has all the historical facts correct is no wonder: Shona MacLean completed a PhD in 17th century history at Aberdeen University. But you could run into problems if you should want to search for books that bear her name because her publishers, Quercus, have decided to re-brand her books under the name of S.G. MacLean. “The thinking was that my name was too soft and feminine and men wouldn’t buy my books,” she explained. It is however an obvious attempt to emulate the success of Joanne Rowling, better known as J.K. Rowling. All of this is really unnecessary because the books should speak for themselves. They are simply brilliantly written historical novels. They also show that Shona MacLean is a worthy successor to her uncle. Group Captain Eugene Emile Vielle (E.E. Vielle) was born in London in 1913, the son of a naval officer. His career in the Royal Air Force ranged from being a fighter pilot to world-wide duties during Word War II. He ended the war commanding one of the largest RAF bases in England and in 1949 he was appointed Deputy Director of Operational Requirements at the Air Ministry in London. Quite an impressive career. Vielle celebrates his 100th birthday this year. Vielle wrote two novels that were marketed as ‘With the Impact of Alistair MacLean’. 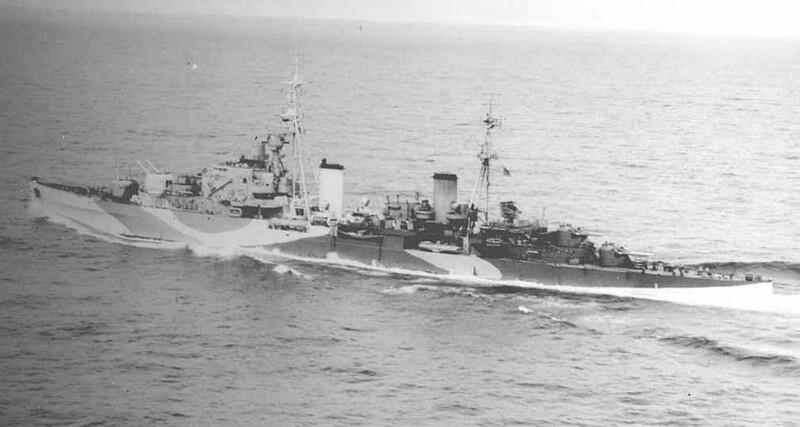 While No Subway is now a somewhat dated – and justly forgotten – story about problems that could possibly occur during the construction of the Channel Tunnel, his The Shadow of Kuril is a still harrowing story that features HMS Thunderer, the latest of the navy’s nuclear submarines that disappears. Does The Shadow of Kuril even now has the impact of Alistair MacLean? I dare you to buy and read the novel and I can assure you that it still delivers the same punch as it once did in 1971. The Shadow of Kuril casts a long shadow. 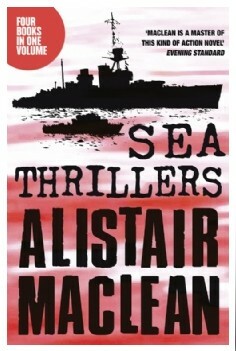 Read it and understand why the publisher thought this novel had (and still has) the impact of Alistair MacLean. The Master Storyteller himself would agree. In the olden days, when internet wasn’t invented yet and amazon.co.uk nor its sister site imdb.com weren’t there to help, it could be very problematic to check who wrote a book or who played in a movie. Thus, in my first edition of the truly massive Twentieth Century Crime and Mystery Writers (1568 pages) from 1980, some novels were erroneously attributed to Alistair MacLean. The problem arose with Alistair MacLean’s choice of his pseudonym Ian Stuart when he decided to show his publishers that he could sell a huge amount of books even when his own name wasn’t on the cover. Alistair MacLean was proven wrong and both The Dark Crusader (called the The Black Shrike in the US) and The Satan Bug only really started to sell when the name of Ian Stuart was replaced by that of Alistair MacLean. 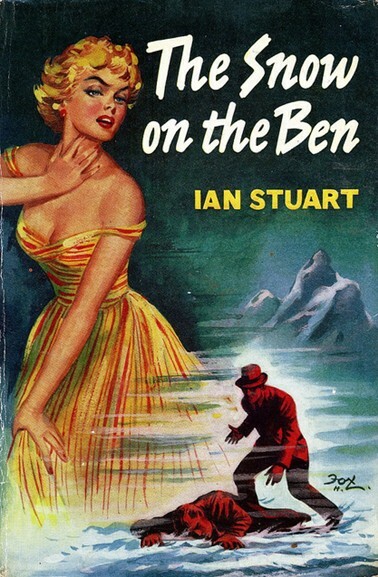 What Alistair MacLean clearly did not know was that there already was a novelist that bore the name of Ian Stuart. This real Ian Stuart (1927-1993) wrote some 19 thrillers and among them were The Snow on the Ben (1961), Death from Disclosure (1976), Flood Tide (1977), Sand Trap (1977), Fatal Switch (1978) and Weekend to Kill (1978). These six thrillers were therefore not written by Alistair MacLean but were erroneously attributed to him in the first edition of Twentieth Century Crime and Mystery Writers. The sad ending of this story is that Ian Stuart didn’t even get his own section in the Twentieth Century Crime and Mystery Writers and these days his novels – although quite entertaining – are simply forgotten. I think that Ian Stuart’s novels should deserve a second lease of life. His publishers, Robert Hale Ltd, responded to my mail asking for a reappraisal of Ian Stuart and a possible re-issue of his novels with ‘We do not in fact have any plans to republish any of the Ian Stuart books, but thank you for contacting us’.